Yesterday we celebrated my niece Grace’s 3rd birthday (it’s actually next Saturday), and today was my mom’s birthday. 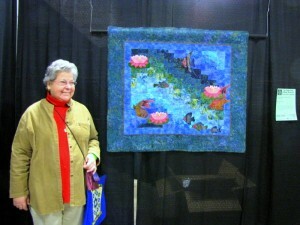 We went to Quilt Fest NJ to see her very first quilt entered into competition. A pretty cool birthday treat. My mom and I met up when the show opened to cruise the floor before Adam, my brother, and Grace arrived at lunchtime. 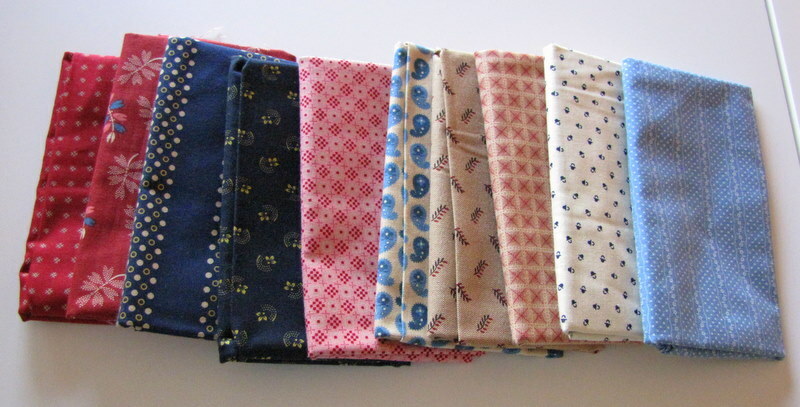 And my mom has issued me a cool challenge. 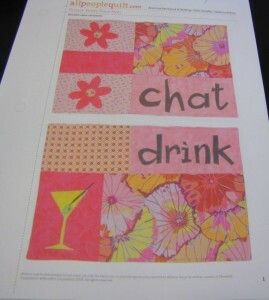 We’re going to make each other these placemats. So I have until June to complete the challenge. 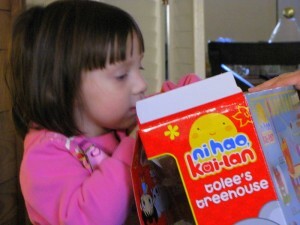 For Grace’s birthday we gave her a cell phone and a tree house playset from Ni Hao, Kai-Lan. This was a new discovery to us, I’d never heard of this show. But the stuff is so cute, I’m definitely on board after OD’ing on Dora the past few years. I’m trying to teach her to bring the cell phone everywhere and ask, “Excuse me, do you have WiFi?” We’ll see if it takes. My mom next to her quilt in the show. She was so excited! And I’m so proud of her, I’d never have the guts to enter something into a competition like this.